The land we call Greece was the home of one of the greatest cultures the world has ever known. With GURPS Greece, you can experience the challenges of the heroes of myth: Contend with the love and the wrath of the gods as you set out on epic quests. Fight for loot and honor, or earn a bitter death on the plain before the gates of fabled Troy. Win prestige as a statesman in the city Assembly – or lose everything as the people turn against you and send you into exile. 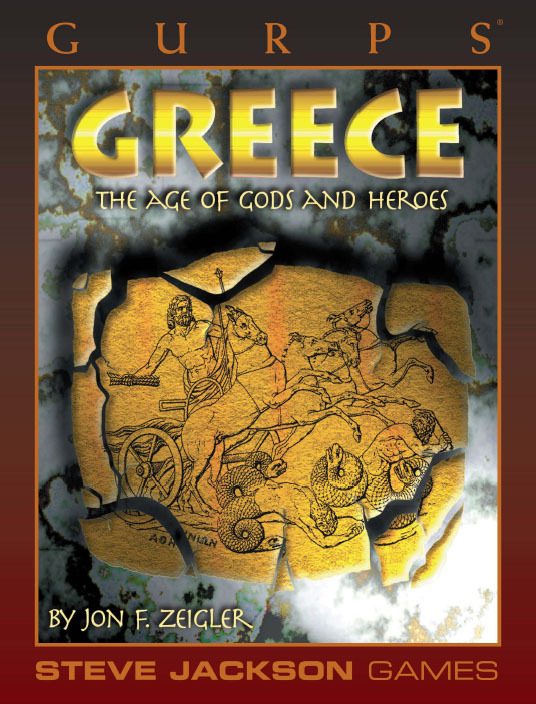 GURPS Greece includes detailed timelines and maps describing the world as the Greeks knew it, information on their religion, rules for the magic of the Hellenic myths, and a Bestiary describing the monsters and animal foes faced by Greek heroes. GURPS Egypt – Tutankhamun, Cleopatra, Rameses, mummies, evil priests of Set: the names have resonated in the Western world for five millennia. There's a lot of adventure to be found in 5,000 years . . .
A review of GURPS Greece, including John Zeigler's response.